Provides the period (interval) used for the primary Bars object on the chart. 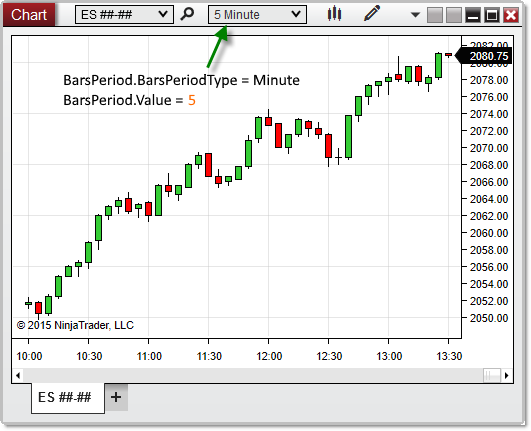 A NinjaTrader.Data.BarsPeriod object containing information on the period used by the Bars object on the chart. Based on the image below, BarsPeriod confirms that the primary Bars object on the chart is configured to a 5-minute interval.